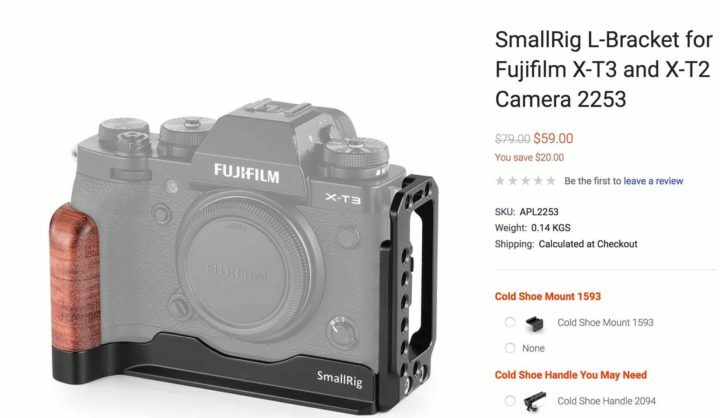 SmallRig is taking pre-orders on their new L-Bracket for Fujifilm X-T3 and Fujifilm X-T2. You save $20. You can pre-order at SmallRig here. Comes with a wooden handgrip to makes it ergonomic to hold the camera. Extendable side plate allows for tethering or cable release. Features multiple 1/4”-20 threaded holes for accessory attachment.